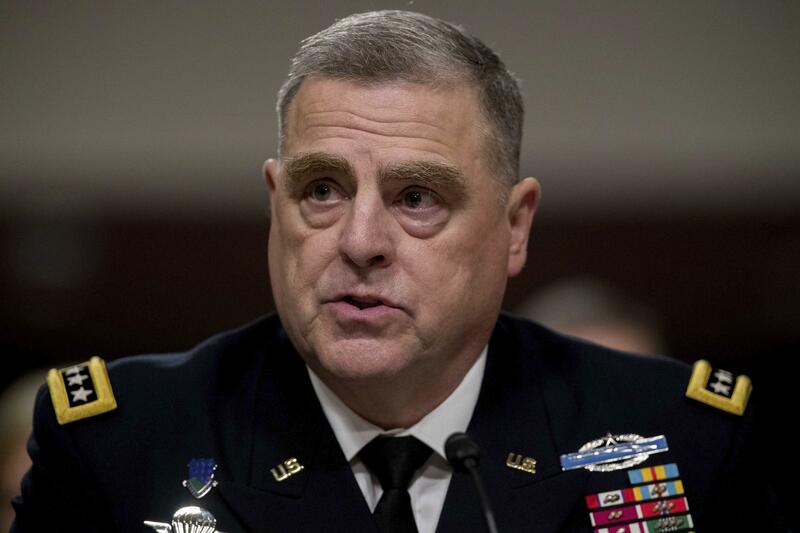 President Trump has announced he will nominate Army Chief of Staff Gen. Mark Milley to be the next chairman of the Joint Chiefs of Staff, replacing current Chairman Gen. Joseph Dunford when his term expires in October 2019. Mr. Trump made the announcement on Twitter before the Army-Navy football game in Philadelphia Saturday. "I am pleased to announce my nomination of four-star General Mark Milley, Chief of Staff of the United States Army – as the Chairman of the Joint Chiefs of Staff, replacing General Joe Dunford, who will be retiring," Mr. Trump tweeted. "I am thankful to both of these incredible men for their service to our Country! Date of transition to be determined," he tweeted. Milley will have to be confirmed by the Senate to take this post. Milley served as a Green Beret and commanded troops in Afghanistan. According to The Washington Post, Mr. Trump decided on Milley over Gen. David Goldfein, whom Defense Secretary Jim Mattis preferred. Milley has previously been at odds with Mr. Trump. After the deadly white nationalist protest in Charlottesville in August 2017, Mr. Trump incited criticism by saying there were "good people on both sides" of the protest. Milley tweeted that the Army "doesn't tolerate racism, extremism, or hatred in our ranks," seemingly a rebuke of Mr. Trump's comments. Milley's appointment comes during a weekend full of staff changes in the Trump administration. Mr. Trump named his picks for attorney general, William Barr, and U.S. ambassador to the U.N., Heather Nauert.